Arbitrations in Cyprus of a domestic or commercial nature are governed by the Arbitration Law, Chapter 4 (1944 Law), and if of an international commercial nature, by the International Commercial Arbitration Law of 1987 (Law 101/1987) (1987 Law). Furthermore, if the arbitration agreement concerns a matter within the admiralty jurisdiction, the law in force is still the English Arbitration Act of 1950. The fact that arbitrations are not governed by a single law makes it necessary to define with precision the area of application of each of the said laws. 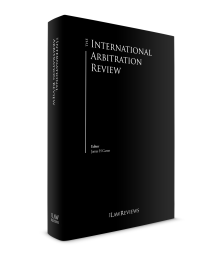 Since before the enactment of the 1987 Law, the only law in force for all arbitrations,2 whether international or domestic, was the 1944 Law, it is easier, to answer the question at hand, to try to define the meaning of 'international commercial arbitration'. c the parties have expressly agreed that the subject matter of the arbitration agreement relates to more than one country. The 1987 Law goes further and defines the meaning of 'commercial arbitrations'.5 A commercial arbitration is any arbitration in respect of matters arising from commercial relationships, whether contractual or not. The term 'commercial relationship' includes, but is not limited to, any trade transaction for the supply or exchange of goods or services; distribution agreements; commercial representation or agency; factoring; leasing; construction of works; consulting; engineering; licensing; investment; financing; banking; insurance; exploitation agreements or concessions; joint ventures and other forms of industrial or business cooperation; and the carriage of goods or passengers by air, sea, rail or road. In light of the foregoing, it follows that any arbitration concerning disputes that are not of a commercial nature or that cannot be described as international in the above sense are, subject to a notable exception concerning admiralty matters,7 governed by the 1944 Law. This Law, which was enacted in 1944 at a time when Cyprus was a British colony, is very similar to the English Arbitration Act of 1889, which was then still in force in England. The 1944 Law is not applicable to admiralty matters. These are governed by the English law in force as of 16 August 1960 – the day of the establishment of the Republic of Cyprus. As a result, arbitrations in respect of admiralty matters are governed by the English Arbitration Act of 1950.8 The 1944 Law has never been amended. To discern judicial attitudes of the courts of Cyprus to arbitration proceedings, it is both useful and necessary to look for authorities in respect of the following sections of the 1944 Law, namely Sections 8, 20 and 21. Section 8 gives power to the court to stay proceedings in an action brought before it on the ground that the matter in issue should have been referred to arbitration. Section 20 gives power to the court to remove an arbitrator for misconduct. Section 21 allows to the court to set aside or refuse registration of an arbitral award. [I]f any party to an arbitration, or any person claiming through or under him, commences any legal proceedings in any Court against any other party to the arbitration agreement or any person claiming through or under him, in respect of any matter agreed to be referred, any party to such legal proceedings may at any time after appearance, and before delivering any pleadings or taking any other steps in the proceedings, apply to that Court to stay the proceedings, and that Court, if satisfied that there is no sufficient reason why the matter should not be referred in accordance with the arbitration agreement and that the applicant was, at the time when the proceedings were commenced, and still remains, ready and willing to do all things necessary to the proper conduct of the arbitration, may make an order staying the proceedings. In Bienvenito Steamship Co Ltd v. Georghios Chr Georhiou and Another,9 decided before the establishment of the Republic of Cyprus but adopted by the Supreme Court of Cyprus (see Yiola A Skaliotou v. Christoforos Pelekanos),10 the court, in interpreting Section 8, adopted the following principles: the dispute in question is a dispute within the arbitration clause; the power of the court to stay the proceedings is discretionary; and it requires some substantial reason to induce the court to deny giving due effect to the agreement of the parties to submit to arbitration the whole dispute, whether of fact or law or both fact and law. In Bienvenito, the arbitration clause provided that 'all disputes which may arise under this agreement' shall be referred to arbitration. It is well established by English authorities dealing with the corresponding provisions of the English Arbitration Act, 1889, section 4, that when a court is asked to stay legal proceedings in order that a dispute may be referred to arbitration in accordance with an agreement between the parties, the power of the court to stay the proceedings is discretionary. In Yiola A Skaliotou v. Christoforos Pelekanos, the court of first instance dismissed the defendant's application for stay. The claim concerned monies allegedly due under a building contract. The building contractor (plaintiff), when the building operations were finally executed and completed, informed the defendant that an amount of 12,404.25 Cypriot mils was still owing to him out of the agreed amount, including extras, and called upon the latter to pay it. When there was no payment, the plaintiff brought an action against the defendant on 14 February 1973 claiming that amount. Following the filing of the plaintiff's statement of claim, the defendant filed an application for the stay of the action of the plaintiff, relying on the provisions of Section 8 of the 1944 Law. The question posed for determination was whether, once the claim was made and not rebutted or denied, a dispute would arise between the employer and the contractor, and whether such dispute would fall within the terms of the arbitration clause that had been made part of the building contract. Where proceedings are instituted by one of the parties to a contract containing an arbitration clause and the other party, founding on the clause, applies for a stay, the first thing to be ascertained is the precise nature of the dispute that has arisen; the next question is whether the dispute is one that falls within the terms of the arbitration clause; and once the nature of the dispute has been ascertained, it having been held to fall within the terms of the arbitration clause, there remains for the court the question of whether there is any sufficient reason why the matter in dispute should not be referred to arbitration. In this case, the only allegation of counsel for the defendant was whether the defendant's refusal to pay when the plaintiff sent to her the final account could be treated as a dispute or disagreement. The trial judge was right in holding that refusal by itself, without disclosing reasons, cannot be understood conclusively as amounting to an existing dispute or difference, because such refusal might be for various reasons, for example, due to lack of money or an intention for an indefinite postponement of the payment, or indeed due to a caprice not to pay, and not due to the existence of any dispute or difference. A mere reference to arbitration is not sufficient, and it was up to the affiant to point out clearly what was actually the dispute in more specific language, because once the plaintiff instituted proceedings, and the defendant was relying on the arbitration clause, it was up to him to pinpoint to the trial judge the precise nature of the dispute that had arisen between the parties to obtain a stay of proceedings. In any event, the power to stay proceedings under Section 8 of Chapter 4 is a matter of discretion. Even though the dispute is clearly within the arbitration clause, the judge may still refuse to stay the action if on the whole that appears to be the better course. The court must, however, be satisfied on good grounds that it ought not to stay. The onus of thus satisfying the court is on the person opposing the stay to demonstrate sufficient reason why the matter should not be referred. An arbitration clause, such as the Scott v. Avery clause,12 does not deprive the court of jurisdiction but simply provides for the possibility of a stay of proceedings. As has been held by the Supreme Court in Antonis Kefalas v. Petevis Georgiades Associates ao,13 in such cases a court does not abandon the control of the course of the judicial process, but has discretion to grant a stay of proceedings and to impose conditions in light of the specific needs and circumstances of the case. In this case, the Supreme Court upheld a condition imposed by the first instance court, namely that the case should be brought back before the court on a specific future date for the purpose of checking the progress of the arbitration, and that in the meantime any party to the action should have liberty to apply. The following conclusions can thus be drawn from the case law of both the Supreme Court and the court of first instance. The Constitution of Cyprus safeguards access to courts. The courts do not have power to stay proceedings on the ground that there is an arbitration clause binding on the parties before it, unless the defendant or one of the defendants applies for stay. Such an application presupposes an action in breach of the arbitration clause. The applicant defendant has the onus of satisfying the court that the action concerns a dispute within the clause. A mere reference to a dispute is not enough. The precise nature of the dispute should be explained to the satisfaction of the court. Even if the applicant defendant satisfies the court in this respect, the court still has discretion to refuse stay. However, the onus of satisfying the court that the case in question is a proper one justifying the exercise of such discretion lies on the plaintiff. Whatever the decision of the court of first instance, it is subject to appeal before the Supreme Court by the aggrieved party. The Supreme Court, in dealing with such an appeal, does not easily interfere with the exercise of the trial judge's discretion. Finally, the filing of the appeal does not operate as a stay of execution of the judgment appealed against. Overall, the way the courts exercise the statutory power given to them by the 1944 Law does not reveal any enmity towards arbitration proceedings. The setback is that in some cases, especially when a court of first instance wrongly refuses to stay proceedings instituted in breach of the arbitration clause but there is a successful appeal, one of the main advantages of arbitration over litigation – namely speedy determination of the dispute in question – completely vanishes, resulting in virtual frustration of the will of the parties when they agreed to insert in their contract a valid arbitration clause. It is submitted that the only real remedy to this situation is giving priority to all cases before the courts in which there arises an issue of stay of proceedings pursuant to Section 8 of the 1944 Law or an issue to refer the matter to arbitration under Section 8 of the 1987 Law. It is interesting to note that on 6 October 2017, a first instance court (Action Number 4311/13 before the District Court of Limassol) decided that, in proper circumstances, it is within its power to annul a previous order, issued by the same court, whereby such court stayed proceedings and referred the matter to arbitration. The Cypriot legal system in respect of matters of private law is run on a two-tier system. District courts are the courts of first instance. Any party aggrieved by a judgment, whether final or interlocutory, has the right to appeal before the Supreme Court of Cyprus. The appeal is normally heard by a bench, consisting of three14 Supreme Court judges. However, the appeal can be referred to what is known as the full bench of the Supreme Court.15 This, however, is rather rare. The power can be exercised either upon application by any of the parties or ex proprio motu. It is exercised in cases where the Supreme Court is invited to reconsider its own case law or to solve a conflict between two or more of its previous decisions, or if a particularly important point of law has to be pronounced upon. 20(1) Where an arbitrator or umpire has misconducted himself or the proceedings, the Court may remove him. (2) Where an arbitrator or umpire has misconducted himself or the proceedings, or an arbitration or award has been improperly procured, the Court may set the award aside. The first principle in arbitration is that the arbitrator must act fairly to both parties, and that he or she must observe in this the ordinary, well-understood rules for the administration of justice. The arbitrator must not hear one party or its witnesses in the absence of the other party or its representative except in certain cases where exceptions are unavoidable; both sides must be heard and each in the presence of the other. Wrongful admission of evidence may amount to legal misconduct by an arbitrator. The above principles were confirmed by the Supreme Court in Neofytos Solomou v. Laiki Cyprialife Ltd.19 The Supreme Court upheld that the concept of 'misconduct' extends to matters beyond the classic and apparent occasions of bribery of the arbitrator or existence of a secret interest in the case, to cases of wrong reception or exclusion of evidence or accepting extrinsic evidence to interpret a contract, or to a decision upholding an illegal agreement. However, in the same case, the Supreme Court rejected the argument that the construction of a contract by the arbitrator could amount to 'misconduct'. The Solomou case was later followed by the Supreme Court in PNP Constructions Limited v. Macariou Charalampidi ao,20 judgment dated 26 June 2012. In Bank of Cyprus Ltd v. Dynacon Limited and Another,21 the arbitrator, following conclusion of the hearing, discussed the case with one of the parties in the absence of the other. In fact, he commented that the proceedings were 'a waste of time'. The other side thought that that related to the way he conducted the proceedings. It was held that such conduct by the arbitrator was impermissible and amounted to misconduct in the sense of Section 20(1) of Chapter 4. The term 'misconduct' encompasses every kind of behaviour that tends to destroy the trust that the litigants should have in an arbitrator that he or she will reach a fair decision. In DIMARO Ltd Lakis Georgiou Construction Ltd,22 the court, following the judgment in Charalambos Galatis,23 commented that it is well established that where there are several issues in an arbitration that can be separated, there is no need to set aside the whole award of the arbitrator if his or her approach to one of the several issues was wrong. 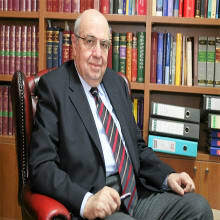 In Paniccos Harakis,24 the issue was whether the whole award should be set aside because the arbitrator left two issues undetermined (in this connection, the trial court held that the better course was to remit the case to the arbitrator for determination of the above issues under Section 19 of the 1944 Law). The Supreme Court held that as to the two issues that were left undetermined (that is, whether there existed hardness of the soil, as alleged by the plaintiff; and whether the appellants were entitled to an amount of C£114 for having purchased an extra quantity of iron bars to complete work that was left unexecuted by the plaintiff), the trial judge rightly held that the better course was to remit the case to the arbitrator for determination of the above issues under Section 19 of the 1944 Law. Unless there is misconduct that makes it impossible for the parties or for the court to trust an arbitrator, the court, in exercising its discretion, should remit the award rather than set it aside. Whenever an application is made to the Court to set aside or remit an award on grounds of misconduct, 'technical' or otherwise, the notice of motion should be served on the arbitrator or umpire concerned. He may then either (a) take an active part in the proceedings or (b) file an affidavit for the assistance of the court or (c) take no action. In Civil Appeal 416/2012,27 the Supreme Court pronounced that an arbitrator is performing a quasi-judicial duty, being bound, as an officer of the Court, to keep the procedural rules applicable in judicial proceedings. As far as the 1987 Law is concerned, there have been very few decisions issued so far by the Supreme Court. In contrast, and only from 2008 to the present day, there have been more than 40 decisions, which can be found in relevant bank data,28 issued by courts of first instance. In Pell Frischmann Consultants v. The Republic of Cyprus,29 the main matter that the court had to decide was whether the 1987 Law is applicable in respect of arbitration agreements in which one party is the Republic of Cyprus itself. The court of first instance decided that in the absence of a particular provision in the 1987 Law, that Law is not applicable, even if the other party is a person (in this particular instance a company) having its seat outside Cyprus. The distinctive feature of this case was that the agreement between Cyprus and the foreign company provided expressly and unequivocally that the arbitration was to be conducted in accordance with the 1944 Law. The Supreme Court dismissed the appeal, holding that the parties had the right to make their own agreement; to hold otherwise would risk undermining the right to freely make a contract as safeguarded by Article 26 of the Constitution of Cyprus. Therefore, even if the prerequisites for the application of the 1987 Law are satisfied, the 1944 Law is still applicable if the parties to the arbitration agreement specifically agreed that the arbitration will be governed by that law. In Attorney General of Kenya v. Bank Fur Arbeit Und Wirtschaft AG,30 the Supreme Court had the opportunity to examine the concept of 'public order' in Section 36 of the 1987 Law (Article 34 of the Model Law). Public policy is a variable notion, depending on changing manners, morals and economic conditions. The present attitude of the courts represents a compromise between the flexibility inherent in the notion of public policy and the need for certainty in commercial affairs. Section 9 of the 1987 Law and Article 31 of European Regulation 44/2001 give power to the court to issue 'provisional, including protective measures' in aid of a foreign arbitration. In Van Uden Maritime BV, trading as Van Uden Africa Line,32 the Court of Justice held that the phrase means the issuance of such court orders for the purpose of preserving 'a factual or legal situation so as to safeguard rights the recognition of which is otherwise sought from the court having jurisdiction as to the substance of the case'. See also St Paul Dairy Industries NV.33 It appears that the aforesaid legal provisions do not grant the court power to issue a mandatory order directing discovery of documents (see the first instance judgment in original application 339/2009 before the District Court of Nicosia by M Christodoulou, President of District Court, as he then was). There have been no developments in Cyprus affecting international arbitrations during the past year. Despite the amendments to the Model Law adopted in 2006, Cyprus so far has not attempted to incorporate these into its domestic legislation by amending the 1987 Law. Nor is there any plan to enact a new single law that will govern all arbitrations held in Cyprus, independently of their nature. There are no statistics on the number of arbitrations that began in 2017 or in any previous year. Anecdotally, however, it appears that the number of arbitrations held in Cyprus is increasing year on year. There were two judgments by the Supreme Court during 2012, one in 2013, one in 2014, nine in 2015, five in 2016 and seven in 2017. No conclusion can be drawn from the Cyprus Law Reports as to arbitrations in Cyprus between either the Republic of Cyprus and another person or entity, or between another state and another person or entity. There is no information as regards such arbitrations that may be pending before arbitrators acting under the 1944 Law or the 1987 Law, or under, inter alia, the ICC or LCIA rules of arbitration. One arbitration is pending before ICSID against Cyprus pursuant to the bilateral treaty for protection of investments between Cyprus and Greece. The day has long gone by when the courts looked with jealousy on the jurisdiction of arbitrators. The modern tendency is, in my opinion, more especially in commercial arbitrations, to endeavour to uphold awards of the skilled persons that the parties themselves have selected to decide the questions at issue between them. If an arbitrator has acted within the terms of his submission and has not violated any rules of what is so often called natural justice, the courts should be slow indeed to set aside his award. In Cyprus, serious efforts have begun to develop the country as a centre of arbitration. Modern technology is readily available. An abundance of, inter alia, very able local lawyers, accountants, architects and engineers are readily offering their services as arbitrators or parties' counsel. The fees they ask can be compared favourably with the fees that parties have to pay in other jurisdictions. These efforts have been initiated by the Cyprus Chamber of Commerce and Industry, and the Cyprus Eurasia Dispute Resolution and Arbitration Centre at the European University of Cyprus. Time will tell whether these efforts will be successful. Cyprus, which is a member of the European Union, will have to comply with any amendment to Regulation 1215/2012, which allocates jurisdiction among courts of Member States. Therefore, if at any future time either this Regulation is amended by deleting the arbitration exclusion currently in force, or an entirely new regulation or directive is issued concerning arbitration, such new development will be made part of Cypriot law. 1 Alecos Markides is a senior partner at Markides, Markides & Co LLC. 2 Except arbitrations concerning admiralty matters. 3 This section is in effect a translation into Greek of Article 1(3) of the Model Law. 4 See Section 2(3) of the 1987 Law and Article 1(4) of the Model Law. 5 Sections 2(4) and 4(5) of the 1987 Law. 6 Section 8 governs the power of a court, in the case of a court action in respect of a dispute that is the object of an arbitration agreement, to refer the matter to arbitration. The filing of the action is not an obstacle to the initiation or continuation of the proceedings or the issuance of the arbitration award. Section 9 gives power to the court, upon application by one of the parties, to grant interim measures at any time before or during the arbitration proceedings. Section 35 provides that an arbitration award is binding, independently of the country in which it was issued. ii the award is in conflict with the public policy of this state. (See, also, Article 34(2) of the Model Law.) Unfortunately, the 1987 Law does not contain a provision similar to the provision of Article 34(3) of the Model Law, limiting the time within which a party may apply to set aside the award. 7 See next paragraph and footnote 8. 8 See the judgment of the Supreme Court in Bulfract v. Third World Steel Company Ltd (1993) 1 CLR 148. 10  1 CLR 251, P 258. 11  3 KB 167, P 171. 13 Civil Appeal No. 369/09 2 November 2011. 14 The total number of Supreme Court judges is 13. 15 Consisting of all or at least seven or more of the Supreme Court judges. 16 See the judgments in Paniccos Harakis Limited v. The Official Receiver (1978) 1 CLR 15 and in Charalambos Galatis v. Sofronios Savvides and Another (1966) 1 CLR 87. 18  41 L1 L Rep 201, p. 204. 19 (2010) 1 CLR 687. 20 Civil Appeal No. 34/2009. 22 (2010) 1 CLR 223. 25 Civil Appeal 6/2012, Judgment 22 December 2016. 26 Mustill & Boyd, Commercial Arbitration, London, 2nd Edition, 1989, Butterworth, page 553. 27 Judgment 15 April 2016. 28 Judgments of the Supreme Court, which are binding on the district courts and, in theory at least, on the Supreme Court itself, are reported on a regular basis in the first part of the Cyprus Law Reports (1 CLR). 34  2 ALL ER 186, p. 189.